We are still shipping out Lightbar stickers on a daily basis! AS SEEN ON /r/googlepixel, 9to5Google, Android Authority, GSMArena, and discussed on Material Podcast! 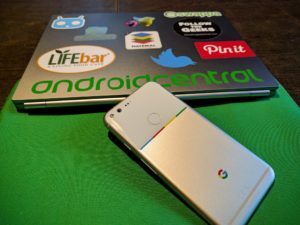 Want to add some color to the rear of your new Google Pixel XL smartphone? 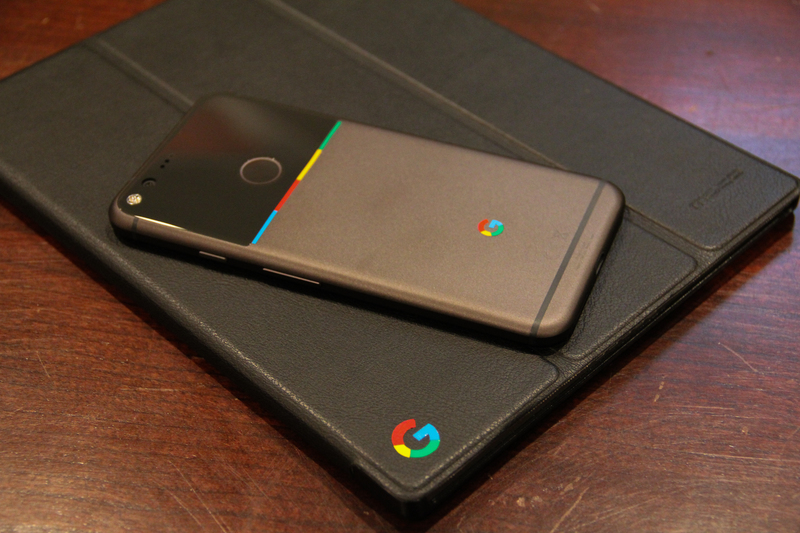 We now offer 4-color decals that make your Pixel XL phone look like the other Pixel devices like Pixel C and Pixel Chromebook. 2 sets of each color for the lightbar stickers as well as 2 sets of each color for the G logos. They are shipped ‘loose’ so you’ll need to install each individual piece of the sticker separately, but it’s really easy – see our install video below for a handy guide! The video and this pic shows you exactly what you’ll be receiving in the mail. 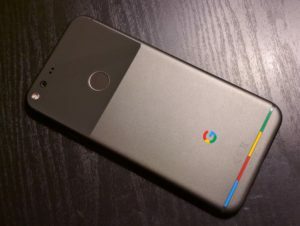 PLEASE make sure to include in the notes whether you are ordering for the Pixel 5″(small) or the Pixel XL. Be sure to include your mailing address in the notes and specify Pixel XL or Pixel (small). Thank you! Posted on October 23, 2016, in Android, Lightbar, Sales and tagged decals, G logo, Google, Light bar, Lightbar, madebybriscrafts, Pixel, Pixel XL, Smartphone. Bookmark the permalink. 68 Comments. Will you ever start shipping to Sweden? Would you consider shipping to Canada? I would pay the complete shipping cost or even ship via regular letter. Let me know thanks! You guys should definitely make like a two minute YouTube video on how to install. 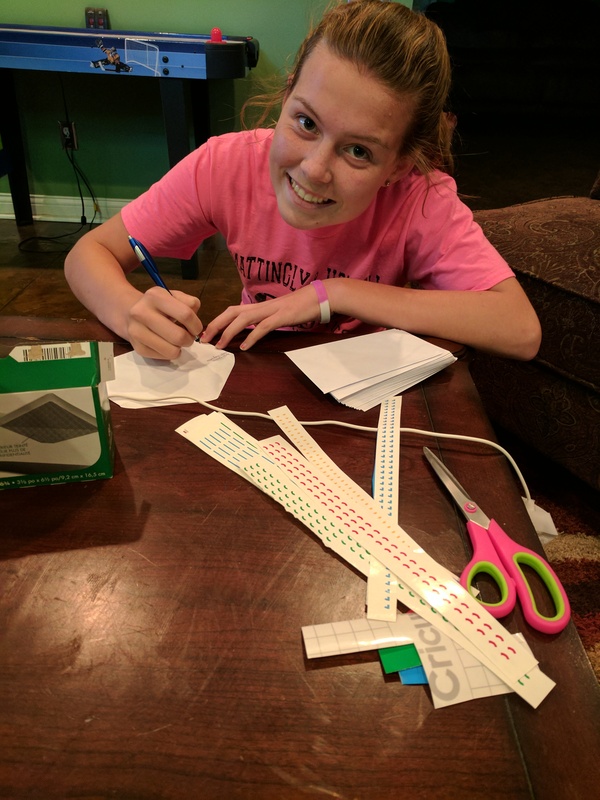 Would love to get a sticker strip for my hp chromebook 13. What all would you need to make them for that? Hey, PayPalMe won’t work, buy I have regular PayPal. Is this an option please? Will you make a regular pixel version (non XL)? Hi! Many others may laugh at this idea, but i think this looks really awesome! I have an idea in mind for you guys. How about you make the long colored strip below the fingerprint sensor, a glow in the dark one? To kind of give of the effect that it is switched on? 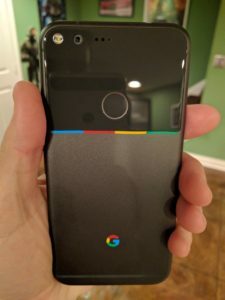 Are Pixel decals definitely happening? If someone provided you with precise Pixel (5″) measurements, would you consider making those as well? I’m getting a Black Pixel soon and would love one of these! I’m really only intertested in the colored G. It looks amnazing, great job. How well would they fit on my iPhone 7+? PayPal.me is not available on Brazil, but I have a normal paypal account. Can I send you money through normal PP? Whats your email address? I need it to send you the money. 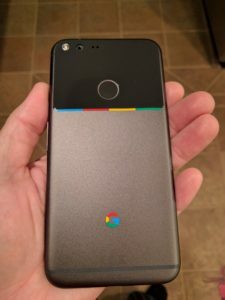 I just ordered a set for my Pixel XL – looking forward to adding some color! Thanks! I’m loving this, really gives the phone a more unique feeling. I have a question though, how does the process go after you pay through PayPal what happens then? My daughter and I cut the stickers and put them in an envelope. We address it to you, and I drop them off at the post office. They are then on the way to you via USPS. So does that mean all I have to do now is to wait? Is there any tracking system involved, or do I just have to be patient? The orders are sent via USPS first class mail. We are caught up and shipping orders every evening so for the Pixel XL stickers we’ve been able to ship them the next day in most cases. Cool, thanks for being so quick about it. I made an order but forgot to specify that it was for a pixel not a pixel xl. What do I need to do? Any idea when orders after the 27 will be shipped? Add a note, if someone wants these stickers, but also wants a case the rhinoshield crush guard bumper case works perfect! I’m loving the way mine looks now. Just saw this on Reddit. I’ll be back in the Ville on the 19th. Can I just pick them up? Cash monies. Do you have an image of how it looks like on the really blue color of pixel? Why dont you make it a one piece sticker. It will be so easy to apply. In order to make them one piece, the colors would be printed onto a white piece of vinyl. That isn’t as durable. 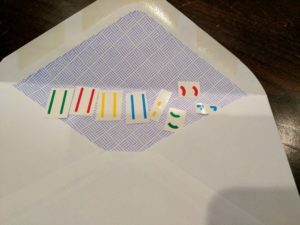 These stickers are separate pieces because they are cut from 4 different colors of vinyl. I dont have a paypal account, and I am from India. Is there any other way I can buy these stickers ? We can also accept payments through Google Wallet. We can send you a payment request if you like. hi.. can u ship to singapore? Hi, do you carry a solid color Google “G” in yellow or red for my Pixel XL? Mine is blue and that last part of the G in blue makes that part of the G not look right because it seems missing even when it’s stuck in the cut out so I want a solid color (yellow or red) instead. We can make them. Send an email to bri@briscrafts.com with your name and when you ordered. We will look up your order info and send you some. 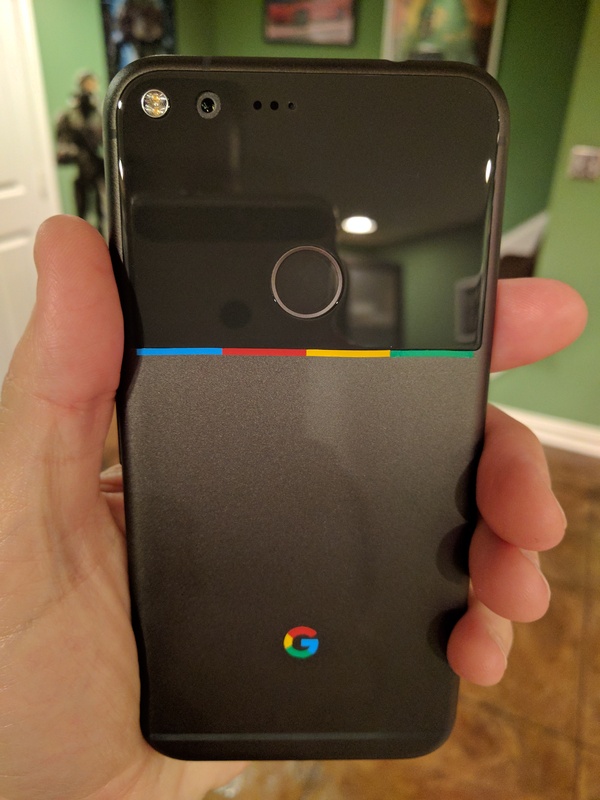 Does the “G” LOGO fit with Pixel 2 XL? Gonna be making these for the Pixel 3? Dying to get these stickers for my new pixel. Bought them from you before for original pixel. Hey.Just wondering if you still had or made these?